WB Group is pleased to announce that the company has signed an agreement for distribution of the loitering munition system WARMATE with its Australian partner CABLEX. The agreement was signed in the presence of Australian Ministry of Defence Industry Mr. Steven Ciobo and Polish Ambassador in Australia Mr. Michał Kołodziejski. Formal signature of the agreement, on behalf of WB GROUP and CABLEX took place on February 28 2019 at AVALON 2019. One of the largest aviation, aerospace and defence events for the Asia Pacific. Detection and strike against the enemy?s light armored vehicles (EO-linear cumulative charge warhead). WARMATE is an alternative solution related to ATM/APM being much cheaper and allowing for the wider radius operations (12 km) with the possibility to Hunt&Kill missions for the extended period of time (50 minutes in the air). The operator has the ability to make sure the observed object is a real target to be engaged. WARMATE is a micro representative of the loitering munition class weapon. The system can be easily extended with the laser seeker capability. 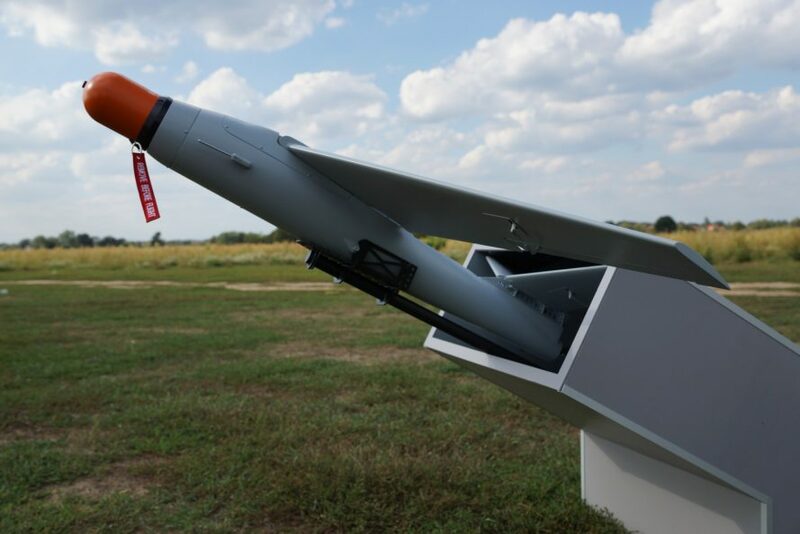 The warheads installed onboard WARMATE air vehicle were designed and manufactured by Military Armament Institute (Poland) in partnership with WB Electronics S.A. The WARMATE air vehicle, in the combat mission is an one-time, expendable solution. On the other hand, equipped with the EO/IR payload can be recovered using deep-stall landing. Transport cases/backpacks (depending on the configuration). The system supports the operator during all of the mission phases. There is a special guidance tool facilitating the target aiming phase when the warhead is in ARMED mode.